illustrative treats for you, your friends and the cat! From greeting cards to art prints, pet portraits, cat toys and custom work - I got you! Ambitious and fun Manchester based artist creating illustrative treats for you, your friends and the cat! Playful revenge advocator, creative coach and overall comedic girl boss - friendzoning the world to bring you fun original colourful art. Wild in Art and Manchester City Council are bringing all of Manchester’s communities together for Bee in the City, one of the most spectacular public art events the city has ever seen. Over 100 Bees are waiting to be discovered on this free, family-fun trail, taking in the city’s landmarks and undiscovered gems. 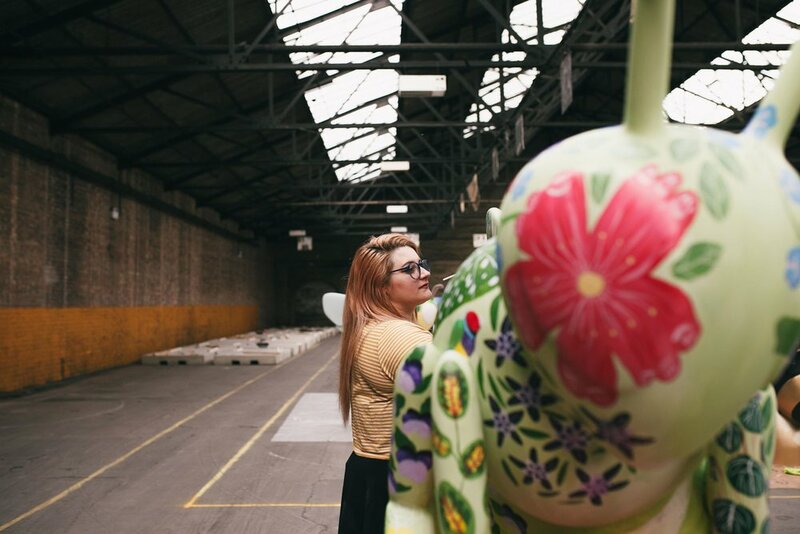 Each Bee has been designed by a different artist and celebrates the unique buzz of Manchester, from its industrial heritage to its vibrant music scene.